We hope to see you at one or both events! Come hear local and international youth leaders share their priorities and facilitate cutting-edge discussions and mind-mapping to leverage youth leadership development toward improving adolescent sexual and reproductive health and rights (ASRHR) locally and globally. The symposium will feature the California Adolescent Health Collaborative (CAHC), FACES for the Future Coalition, GOJoven International, Rise Up’s Youth Champions Initiative and YTH (Youth + Tech + Health). 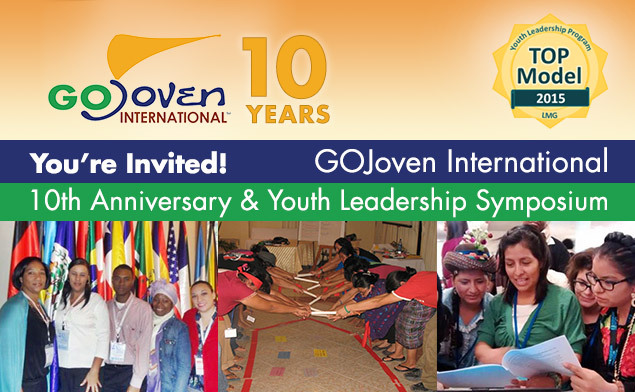 Celebrate over a decade of success of the Public Health Institute’s GOJoven International program in building a critical mass of youth leaders in Mexico and Central America to improve ASRHR. Join GOJoven’s pioneers, leaders and supporters to celebrate GOJoven International’s successful scale up and impact, including through the four new GOJoven alumni associations: GOJoven Guatemala, GOJoven Mexico, GOJoven Honduras and GOBelize.